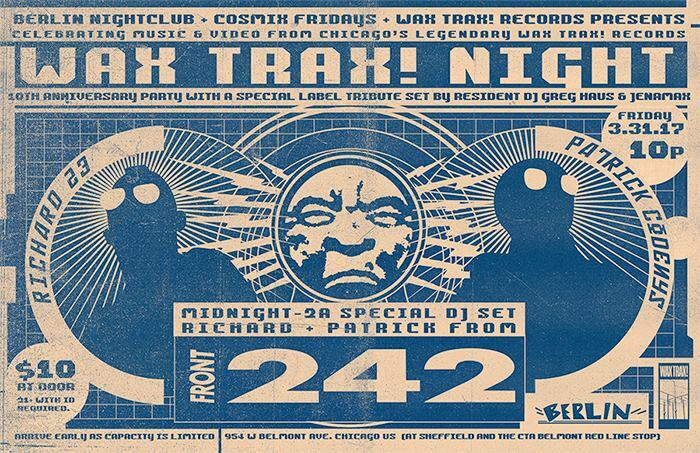 Celebrating Chicago’s legendary Wax Trax! 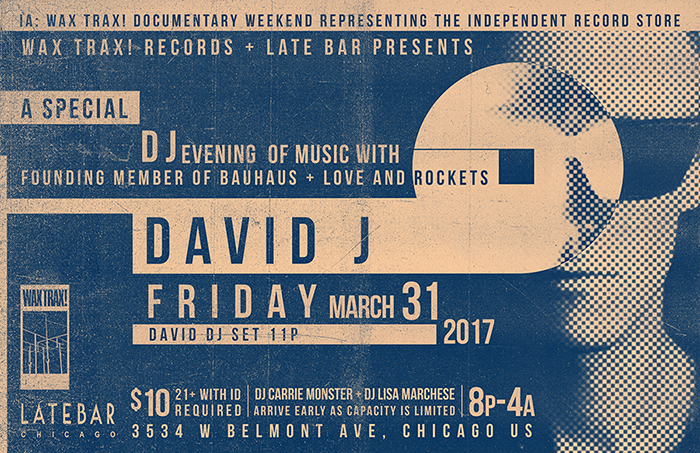 records Lincoln Avenue store with guest DJ David J from iconic post-punk pioneers Bauhaus + Love and Rockets. 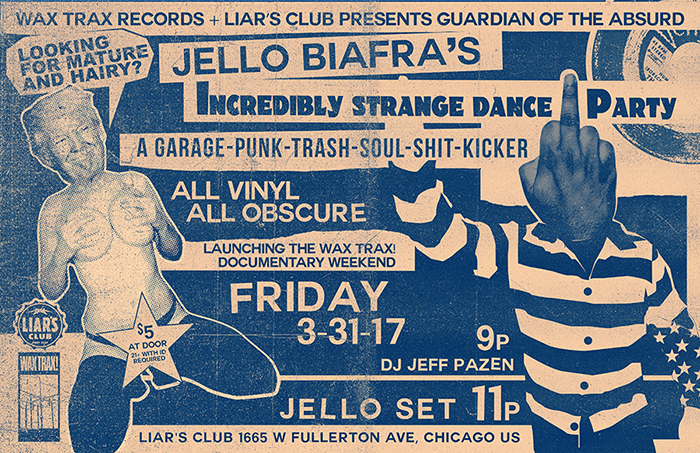 This DJ event is in conjunction with the WAX TRAX! Documentary weekend at the Chicago’s Vic Theatre Saturday April, 1 2017. In addition to being featured in the WAX TRAX! 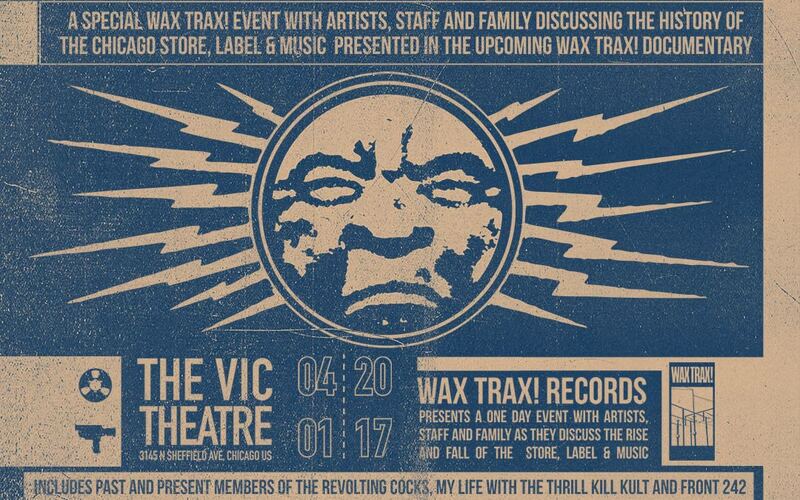 documentary, David J will be appearing live at the Vic Theatre for a special panel discussion related to the independent WAX TRAX! store, label and founders Jim Nash and Dannie Flesher. On Saturday, April 1, 2017, Chicago’s Wax Trax! Records presents 2 separate panel discussions and Q&A featuring select artists, along with original staff from the store and label. The discussions will examine the history of Wax Trax! and the upcoming documentary, “INDUSTRIΛL ΛCCIDENT: The Story of Wax Trax! Records”. To mark this one-time special celebration, those purchasing tickets to either panel discussion will receive complimentary admission to a private test screening for the cast and crew, which will run immediately prior to each session. Admission also includes a limited Wax Trax! Records poster, available only at this unique 1-day event.